Microgaming has released two new online slot games which are now all available at SlotsMillion. 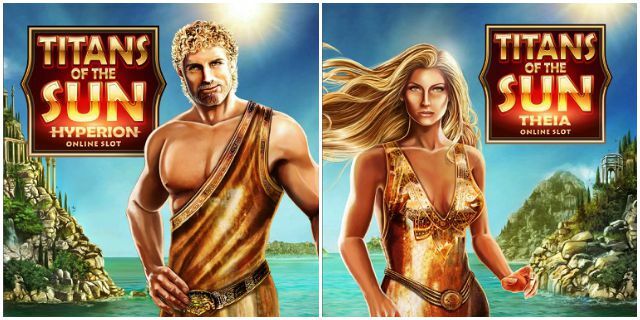 The games are Titans of the Sun Hyperion and Titans of the Sun Theia. These are two of the same slot games, with just a minor theme difference. These slot games use 15 lines and come with a special stacked reveal symbol. All these symbols will turn into one and the same symbol after the reel stops spinning except wild. The highest paying symbol also appears stacked on all reels. If you get 3 or more scatter symbols you are awarded with 15 free spins with a two times multiplier. During these free spins the reveal symbols can also reveal a wild symbol. Free spins can also retrigger. You can watch a gameplay video below. You can find both these new Microgaming slots at SlotsMillion, the biggest online casino with the most slot games anywhere. I am sure other NetEnt casinos will also add one or both of these new games soon, like for instance Guts Casino.